2YR SHANTOU XINQING CANNERY MACHINERY CO.,LTD. LaiWu HuLin Welding Material Co.,Ltd. We are a very famous name of the market for exporting and supplying a high quality range of Ink Box Colation Constant Temperature Welding Machine to our most valued shoppers. These are broadly used in various sectors. Our machines are easily procurable at leading market prices. 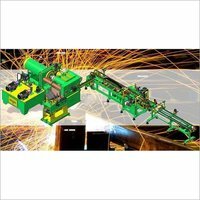 Greatwall Welded Pipe Co., Ltd.
Huanghua Fangzheng Welding Equipment Co., Ltd.